Is citation analysis a legitimate evaluation tool? 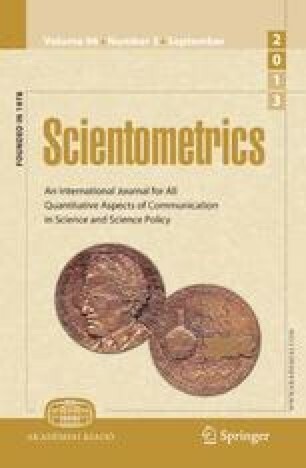 A comprehensive discussion on the use of citation analysis to rate scientific performance and the controversy surrounding it. The general adverse criticism that citation counts include an excessive number of negative citations (citations to incorrect results worthy of attack), self-citations (citations to the works of the citing authors), and citations to methodological papers is analyzed. Included are a discussion of measurement problems such as counting citations for multiauthored papers, distinguishing between more than one person with the same last name (homographs), and what it is that citation analysis actually measures. It is concluded that as the scientific enterprise becomes larger and more complex, and its role in society more critical, it will become more difficult, expensive and necessary to evaluate and identify the largest contributors. When properly used, citation analysis can introduce a useful measure of objectivity into the evaluation process at relatively low financial cost. Modification of a chapter in E. Garfield:Citation Indexing: Its Theory and Application in Science, Technology and the Humanities, New York, Wiley, 1979.